Does your checklist cover everything it needs to before making a purchase? Why school ERP software to manage the HR system? An HR ERP system is any type of tool, platform or application that is focused on managing the budgetary and personnel processes and needs of an organization. These are usually ERP software or enterprise resource planning software which help organizations more efficiently manage their HR processes. They usually do this by automating processes wherever possible, while maintaining granular level rules, so as to reduce human time and labor investment. This is especially good for HR functions since so many of their processes are repetitive and thus ideal for automation. Why do schools need an HR school ERP system? It might seem like an HR system would be more suited for large organizations, rather than a school. On a structural level, however, what is a school but a large organization? The institutional HR needs of a school are comparable to those of a large business. It thus makes logical sense that a school too would benefit from the implementation of an HR structure. Do we need a dedicated HR system for Schools? Earlier, one needed to purchase dedicated software whose core competency was limited to certain domains. However, with the release of increasingly versatile software and the growing use of technology, it makes sense that schools might want to invest in a single tool that works seamlessly across functions and departments at their institution. 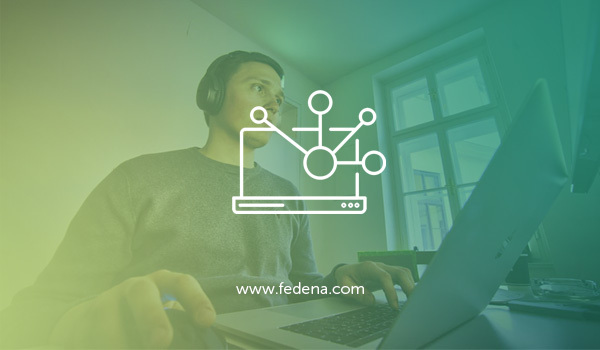 Keeping this in mind, modern school ERP software, like Fedena, often include features or plugins that are capable of handling educational institutions various needs such as admission, examination, transport, students data, finance, human resources and much more. What is even better than when a school uses a school ERP software and features can be customized to be aligned with typical school practices. No need to customize your HR system to the working of a school system. Instead, your school ERP system doubles up as a fully functional HR system right out of the box. Just plug and play! Question #1: Does the HR system for your school facilitate web-based recruitment? In this modern world, paper-based applications processes like this are likely to edge schools out from acquiring the best candidates for the job. Increasingly, online applications are the norm. It also helps stay better organized, since all information and related documentation is stored in the HR system itself, making it easily accessible anywhere and any time. This is also an important historical data that is useful for any school. Even applicants who might not be a good fit during a given round of hiring might become a better fit for another role or for another time. Building an internal database of talent is key to superlative hiring for schools. Question #2: Can job applications be automatically screened based on keywords or qualifications in the HR school ERP system for your school? Create better hiring processes for teachers and staff when you use technology in the right way. The school ERP HR system should be able to dig into applications for keywords or phrases that signal that an applicant is qualified. Being able to automate this process reduces the time and labor burden on a human evaluator, while also being more efficient and blind to biases. This is also valuable data for management to see what keywords and qualifications garner them higher quality applicants. Tailoring future job descriptions to these keywords is likely to increase this pool in hiring drives at the school, all thanks to the HR school ERP system. Question #3: Will employees have self serve options available online (including on mobile devices) to request leave/vacations, view payroll information, and other activities in the HR system for your school? A bureaucratic system is a broken one. Having complicated processes and long waits for simple HR tasks is a type of inefficiencies that should not be found in modern schools. With the HR system, schools can automate entire processes such as requesting various types of information, applying for leaves or absences, etc. This means a reduction in the burden on human staff with simplistic administrative tasks and a more democratic process for teachers and staff seeking information or disbursal of leaves. Furthermore, this is all valuable data for management, who can base many budgetary and personnel decisions based on this data being collected by the school management HR system over a long period of time. Data-driven decision making is key to seeing actual success, instead of being stuck in a seemingly endless cycle of nothing getting resolved thanks to biases coming into play. Question #4: Does the HR system for your school help manage the staff’s required professional development and credit history? The clarity in financial information and professional development records are necessary for every employee of a school to be able to track their progress and personal growth at their institution. Having a data-driven bird’s eye view can be invaluable to their personal development within an institution. The school HR management module can keep track of this data easily and confidentially becoming a handy developmental and training tool for every teacher and a member of staff in your school. Management is also able to better track the impact of the professional development training and opportunities it offers its teachers and staff members. When they are able to directly see the impact of their efforts – both positive and negative – they are able to continually tinker and improve what they are offering their employees, creating a positive feedback loop of improvement internally at the school. Question #5: Does the HR system for your school maintain employee history of compensation and ratings? In a similar vein, keeping track of HR details like the pay of individual teachers and staff or even teacher and staff bands is important to track their growth. When combined with the ratings they received during appraisals or student evaluations, one is able to get important learnings about the professional growth of every teacher and staff member at a school. A school is only as strong as its teachers and this feature helps schools track of where they stand year after year or semester after semester. When this kind of data is being collected by your school ERP HR management system, it means that management now has a breadth of data over time on which to base its hiring and firing decisions. Instead of relying on infallible human memory, it is easy and swift to instead pull up this kind of factual data within HR module itself and make decisions based on hard figures instead of feelings. Question #6: Does the HR module in School ERP record district assets including keys, smartphones, laptops issued to employees? Schools are constantly under budgetary constraints and financial pressure. So it makes sense that their assets – such as electronic items like laptops, smartphones, tabs, etc. or security assets like keys and key cards or access codes or even student learning aids like projectors, video players, audio and visual equipment – must be safeguarded to the highest degree possible. This kind of record keeping also makes an impact on the bottom-line of school budgets. As was mentioned earlier, schools often view such expensive items as investments. It is important to see what is being used, what is not, and track the wear and tear of school assets so that there is continual improvement in purchase decisions. The school ERP system data can help make these decisions in a more data-driven way. Question #7: Does the school ERP HR system for your school maintain job descriptions attached to employees? Having detailed job descriptions for every role in the organization may seem unnecessarily pedantic at first thought. But in reality, it is an excellent HR practice. Job descriptions often help define key areas of responsibility, key performance indicators and job responsibilities and deliverables for each role, whether teaching or non-educational. This helps employees understand and define the goals they wish to strive towards and for management to be more fair and effective in evaluating the performance of their employees. Job descriptions also help management understand the evolving needs of their school – with the advent in technology, teaching, and learning methods, it is good to have historical data to see what works for a school and what does not. It is a far superior and data-driven method, rather than relying on humans who might bring their unconscious biases to the table when making hiring, firing and promotion decisions. Question #8: Does the HR system for your school track the performance review process, including dates and ratings? Keeping track of employee ratings and assessments over time is the best way to track the professional growth of teachers and staff. It is important for employees of a school to remain dynamic in their thinking since they are constantly interacting with young students and influencing their intellectual growth. The right HR management system can help teachers track their own improvement, identify key areas of growth, identify strengths and weaknesses and take their career more seriously, overall. This helps retain the best teachers and staff possible – since using such a system also demonstrates that their employers value their own growth within the educational institution. Data like this also helps management identify star employees and those who might not be a good fit for a school, resulting in data-driven hiring and firing and promotion decisions. This is only fair to all staff that is ideally seeking to constantly improve. Question #9: Does the HR module allows users to view absence plans for each employee: vacation, personal days, sick days, bereavement, unpaid leave, etc. An open and transparent system that allows teachers and management to have a clear view of their leaves is necessary for the smooth functioning of a school. Things like vacation days and sick leaves cannot be left to the whims and fancies of a sole human administrator. One must also take into account the propensity for human error in matters like this. No human is infallible, but it is unfair for employees to be expected to take on the burden of their infallibility especially when it comes to precious perks like leaves. Since this is also connected to payroll – loss of pay is a consequence of exceeding allotted leaves – it is important to maintain the highest level of accuracy in leave records for every teacher and member of staff at a school. It is only fair, decent, and professional to rely on a tool like a school ERP HR system to do so. This is also valuable data for management that can use it to track specific employees in order to make hiring and firing and promotion decisions, but also track overall school trends – knowing that schools tend to fall sicks around a certain time period, for example, helps management be prepared with alternatives to missing employees, whether it is planning workflows or having temporary workers come in as substitutes when needed. Good planning really impacts the budget of a school in a positive fashion, since you are able to identify when and where extraneous expenses might be incurred and then plan for it in advance. Question #10: Does the HR function in school management system track benefit plans and deductions, including eligibility rates? Employee benefits can often make or break the peace of mind of an employee. This also affects their ability to work. Having documentation and tracking of any availments and changes in employee benefits is absolutely necessary. The HR system helps to ensure that this tracking is maximally accurate, instead of relying on humans who have a higher rate of error. It is also automated, so one does not need to rely on a time consuming and cumbersome process while attempting to avail important benefits. This is also a form of data collection that helps management better understand the needs of their employees over a period of time, leading to better management level decisions that actually help school employees while also potentially impacting the bottom line in a positive fashion. Data like this can really help schools looking to cut corners do so in a fair and productive fashion. Figure out key problems in school management. The running of a school is not easy. School management is often confronted with endemic problems that seem difficult or frustrating to solve. However, the school ERP software can often be a solution to a lot of these issues. The image of a school overwhelmed by the sheer amount of paperwork very much stems from reality. School ERP software helps to do away with paperwork by automating most paper-based processes, from report cards to examination administration. Admissions seem to be one of the most stressful times for schools, parents, and students alike. 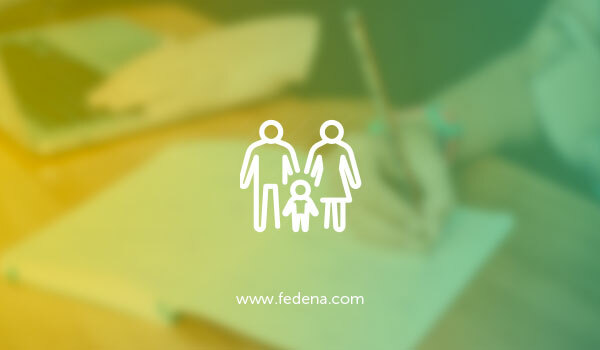 Oftentimes, in addition to the application, parents, and students submit a lot of materials to help the school better evaluate their candidature. This can be really overwhelming for schools. With school ERP software, however, all these become well organized soft copies and parents feel free to submit as many documents as they want. 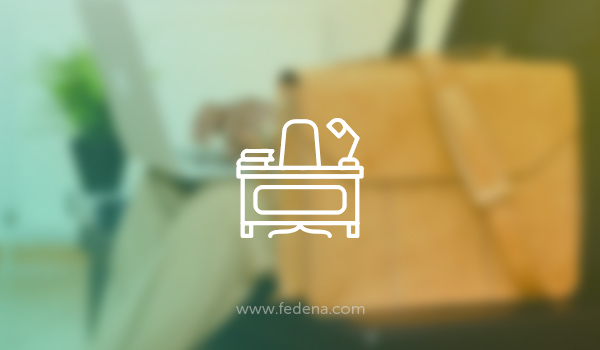 Recommended Read – How Fedena School Management Software Ease The Admission Process? A student cannot succeed without their team of parents and teachers being on the same page. In order to enable this, and help parents feel more included in the schooling process, a school ERP software can be used to help parents connect with the teachers and keep track of student progress as often as much as they would like. Sometimes, students can fall through the cracks, especially in bigger schools. School ERP software makes it easy to track student progress on a granular level and in real time. It makes it feasible for teachers and parents to monitor student progress easily and securely through school ERP software. A school is only as healthy as its bottom line. Most schools function on a strict budget. A school ERP software helps give a complete overview of all financial transactions happening in and with the school, allowing management to have more financial awareness and better manage the financial health of the school. Commuting to and fro from school is often the most security sensitive point for students. School ERP software offers live tracking of a bus or student, updated transport schedule, and allows management to keep eyes on school assets like school buses or tempos. In the hustle and bustle of a running school, it is easy to lose track of how efficiently the school staff is working. School ERP software keeps track of all processes and the staff handling them, giving a realistic idea of their job performance. This data can then be used in employee performance evaluations and for developmental reasons also. Classroom management can be an ongoing battle, especially for teachers overwhelmed by multiple classrooms and other teaching responsibilities. A school ERP software helps teachers create virtual classrooms where they can monitor student progress, share student reports and materials and communicate with students easily and confidentially through the app. Create a more organized classroom experience using school ERP software. Schools often rely on the experience of teachers and management to drive developmental decisions. However, while the lived experience of these stakeholders is important, schools must make sure that biased anecdotes are not the basis for change. A school ERP software is a store of data on the very processes that make a school run. When schools choose to use this data to understand their processes, stakeholder workflows, and gaps in the same, they are able to make improvements based on pure data instead of opinion. A data-driven school is an efficient school and school ERP software makes data-driven decision making a breeze. What Are The Top Rated Features Of School ERP Mobile App? Over the past few years, technology has paved its ways into school and educational institutes. Today, schools have embraced many technological advances and have come to rely on them heavily for efficient day to day functioning. One such software is a school management app that uses school ERP software. This is an enterprise and resource planning software designed for school management to reduce the workload of the administration teams. It also helps them to increase the efficiency of school administrative staff and helping them deliver timely services to the school. In recent times a school management app is extremely popular in schools all over the world. There is a preference for these apps to also be available over the net as well as in the form of mobile apps which make access easier than ever before. A regular day in any school is buzzing with activities but most of the time parents are not aware of these activities. A school management app helps to keep parents updated about the various activities taking place in the school from parent-teacher meetings, athletic meets, science exhibitions, annual function as well as other essential information such as delays in transports, homework updates, etc. Besides the parents, even the teachers and school staff get real-time notifications and alerts on admission inquiries, timetable changes or any other relevant information. This feature is highly appreciated by all the users and is one of the most essential features of an app for school management. The user interface allows the user to communicate with the operating system and run the various features of the app for school management. 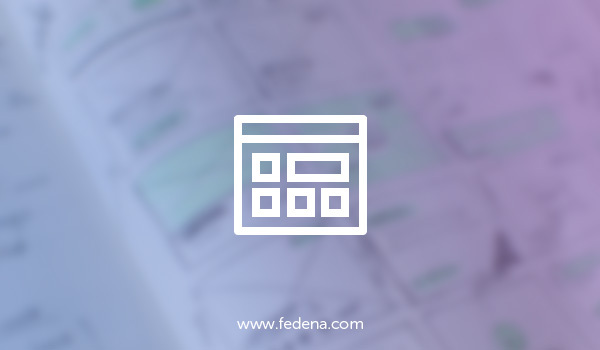 It is therefore important that the user interface has a pleasing design and be easy to use and navigate without confusing the users. Even if the school ERP app has the most advanced features but is difficult to use, it will leave the users confused. The user interface must be purposeful and intuitive with the strategic use of color and typography to highlight the various features. “White label” refers to a fully supported product that is made by one company but sold by another. It allows the reseller company to the benefit of customization of the product with its own brand, logo, and identity. This allows the customers to associate the product with the reseller. It also allows the manufacturing company to focus its resources on finding cost-effective ways to make the product. A white label allows the admin of the school ERP mobile app the ability to set the company details. They can choose whether the school name should be shown or their company name should be shown in the Application, thus allowing them to customize the app according to the branding requirements of the school. Read Also – Why institutes considered underrated if they won’t use school management software? Another essential feature of a school ERP mobile app is the various communication features that it offers to the users. According to various children experts, student success depends on the effectiveness of communication among parents, schools, and teachers. The school ERP mobile app that has chat functionality allows for seamless communication between the school, parents, teachers, and students. It allows the students the freedom to contact their teachers and peers for emergency doubts and queries. Similarly, the parents can reach out to the school and teacher when needed. An app for school management is only as good as the advanced features it offers. Today schools are looking for more than data management in their app for school management. It is essential that the app provides a range of features, especially an advanced tracking functionality that allows the schools to track the leaves of the staff, manage the attendance of the teachers as well as the students, track the fees transaction and other necessary details. Most of these daily tasks are mundane and take up a lot of productive time in the school administrative team. But the tracking functionality of the school ERP app helps save the time and effort of the school staff and helps them function in an error-free manner. Read Also – Why is an interactive dashboard in school ERP software critical for school success? Another essential feature of a school ERP mobile app is the management features that looks after various tasks such as timetable management, admission management, transport management. These tasks can be easily handled by the school ERP app to save staff time and effort and to help the school function in a more efficient manner. For a school to use the school management app in the best possible manner it is essential that the school allow for the customization of the app pages. This essentially means enabling various features as needed by the school, disabling redundant features and allowing for a change according to the evolving needs of the school. In terms of customization of the app pages, the school management app should also allow for a change in design, colors, and logo as and when needed. We live in a global world where there are a number of languages being spoken on a day to day basis. In this case, it is important for the school ERP mobile app to provide multilingual support in the app. As with any other purchase, product or service, the users are looking for affordable pricing that allows them the best of the above features without compromising on quality. 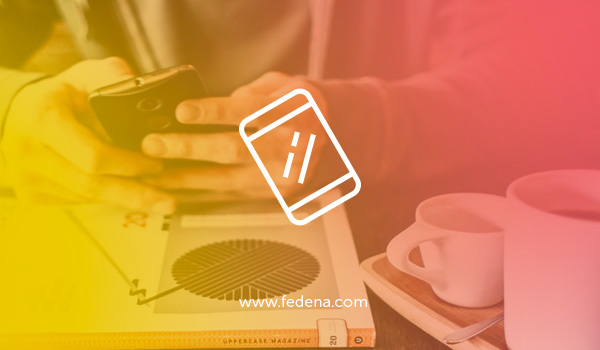 The Fedena school management mobile app offers all of the above features in cost effective manner thus making the app affordable for large as well as smaller schools. 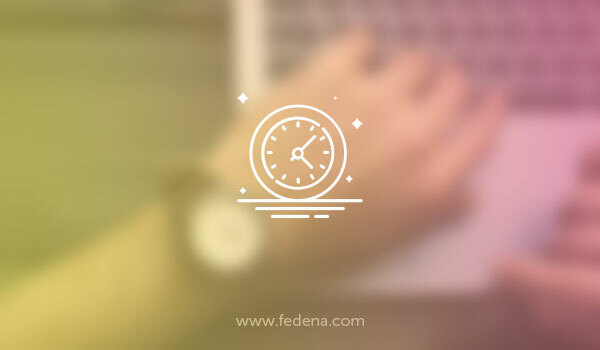 Why is time management important for schools? Time management tips are usually doled out to students – to help them study better, prepare well for exams, or just to help them learn this important life skill within a structured environment. So why would something like time management be important for school administrators? After all, these are adults who are in charge of students and would have mastered this basic life skill by their age. But as most workers will tell you, time management is a constant battle. With growing distractions, increasing responsibilities, and the stress of the day to day at any job, time management goes from just being another good quality for an adult to possess to a necessary trait for anyone who wishes to reduce the stress in their work life. The same applies to school administrators, who are often tasked with the unenviable job of running an entire school without dropping the ball. The stakes are high and school administrators — unlike plenty of other job roles — cannot afford to falter. It is in this high pressure and high stakes scenario that time management comes in to save the day. For a school administrator, the difference between a smoothly functioning school and a disastrous, unwieldy behemoth might just come down to how well they manage their time. Sounds simple but effective prioritization and articulation of daily goals is likely one of the most impactful things a school administrator could do to run their school efficiently. Creating a simple to do list is step one – listing out all the tasks along with deadlines put against each of the items is how the day should be started. Following this, it is important to organize all the items on a to-do list by order of priority, with the one that is most achievable and key being put first. This helps ensure that not only do school administrators get to everything they have to finish, but also do it in the most efficient fashion possible. Like in any big organization, a leader is only as effective as their team. This means that it is important for school administrators at educational institutions like schools and colleges lean on their colleagues and their team to help perform the best job they can. This is done primarily by delegation. 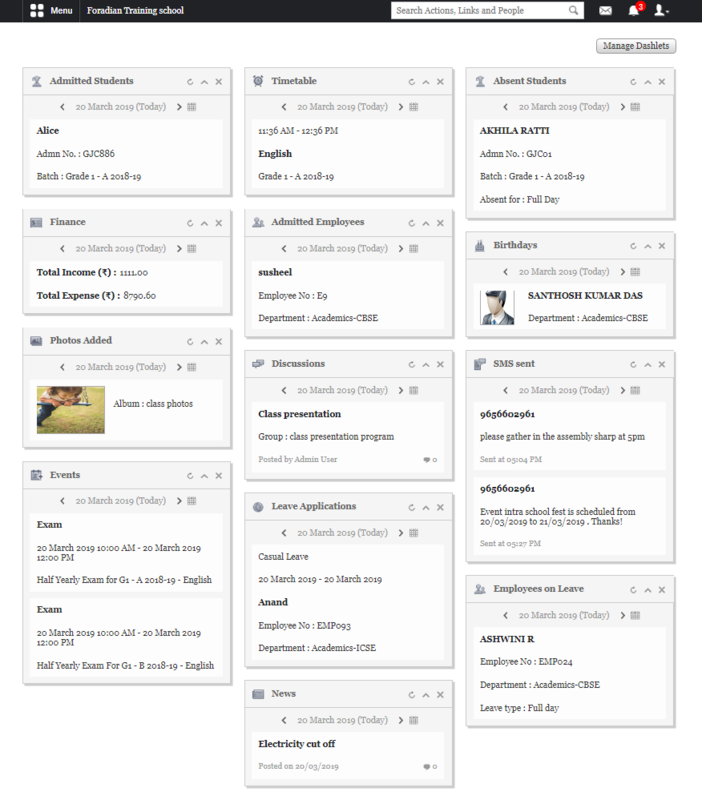 Remember the to-do list from the previous recommendation? Assigning people from one’s team to each of the to-do list items ensures that work is evenly distributed and the pressure is not on just one person to do it all. Building an effective team is key to ensuring a manageable workload – that is conscious of the time and effort that needs to be put in when running a school. There are time drains all around us and things are no different for school administrators at an educational institution like a school or college. It is important for school administrators to identify people, tasks, or events that drain them of their energy and resources – time and otherwise. There are always inefficiencies in a process, and identifying them is step one of eliminating these blockers and distractions. Blockers and distractions that are repetitive are especially harmful since they slow down the working of things for everyone – slowing down the whole organization. It is not enough to merely make a to-do list. For a large organization like a school or college, ie an educational institution to function efficiently, it is important to establish long term and short term goals. When establishing these goals it is important to make sure they are SMART. SMART is an acronym that stands for Specific, Measurable, Attainable, Relevant, and Timely. When considering a goal for your school – think. Is this goal SMART? Does it meet all the parameters? Only then can it become a goal that your school works towards. Having SMART goals makes sure that all the hard work a school administrator puts in is a sensible expenditure in terms of their time and labor, instantly making it more time efficient. Time management is not just about cutting down wastage of time but also using time more efficiently, and SMART goals help with that. Using tech to your advantage is one of the low hanging fruits that every school administrator must reach for today in order to better manage their time. Technology solutions like school ERP systems can really reduce the time burden on school staff. How do they do this? School ERP systems can take over a variety of processes currently being performed by human employees at a great time and labor cost. 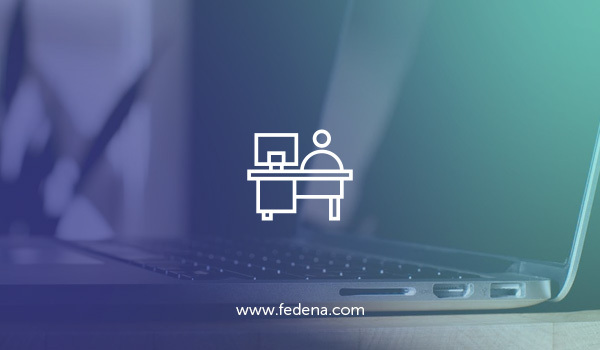 For instance, taking attendance, transport management, class scheduling and a whole host of other functions can be managed by a school ERP system with minimal input and guidance from a school administrator. Talk about a time saver! This simple solution should be step one for any school administrator seeking to improve how they manage their time. Every adult working human has been a meeting that never seems to end and has no point. Oftentimes, meetings can feel like you are doing work, but in reality, there are far more efficient ways to communicate, rather than face to face, especially in the age of technology. For instance, before sending a meeting invite that will be a time drain on multiple people, ask yourself – can this go in an email or a text message or any other form of communication? In cases where a meeting is absolutely necessary, set an agenda and make sure everyone sticks to it. This ensures that meetings are not endless ramblings of various employees that end up being pointless and unproductive. 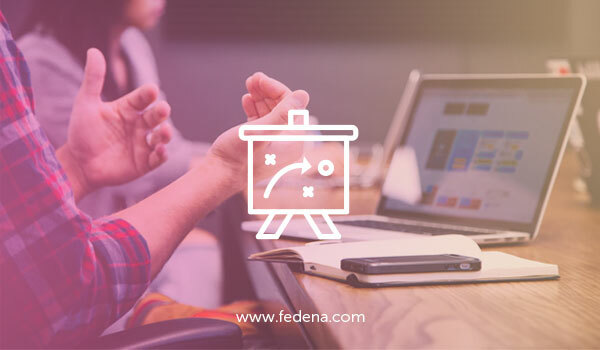 Instead, with an agenda, you can ensure everyone stays on task and resolutions are arrived at during the course of the meeting that will affect real change post the meeting. Why is an interactive dashboard in school ERP software critical for school success? What is an interactive dashboard in school ERP software? At its most fundamental level, an interactive dashboard in school ERP software is a one window view into what is happening at an educational institution, like a school or a college. Imagine a visually appealing summary of tasks and events — big or small — that will tell you at a glance what is happening with any given department or function in the school. An interactive dashboard can update automatically to give you real-time status on various tasks or events or functions of the school. It pulls data directly from the school ERP software itself, which anyway is collecting data or tracking outcomes within the platform or tool. It displays this information interestingly – either through graphs, visuals, tables, or through some other easily comprehended pictorial representation of what is happening. Why do we need an interactive dashboard in school ERP software? What are the benefits of an interactive dashboard? Schools are large organizations with many moving parts. The number of stakeholders involved in the school and its functioning are also plenty. Using technological innovations like a school ERP software is one of the ways that these stakeholders remain connected and work in tandem to the benefit of their educational institution. An interactive dashboard enhances the benefits of a robust school ERP software. An interactive dashboard is a user-friendly insight into what the school ERP software is doing, and thus the school itself. It tracks KPIs, breaks down complex information into easily parsed visuals, and also is a single place, one window representation of what is happening at a school at any given time since all of its information would be updated in real time or over short cycles set by the school itself. Ultimately, it is a way for all the stakeholders in an educational ecosystem to have an understanding of where they are at, track their goals and progress, and also feel more connected to the school community because they see how their work ties into that of others’ at the school. What are the benefits of an interactive dashboard in school ERP software? The benefits of an interactive dashboard in school ERP software are many and obvious, but what is your interactive dashboard in school ERP software actually capable of doing? How can an interactive dashboard in school ERP software can be critical to the school’s, student’s, and school employees’ success? Do you know whether a particular student has made it to school today? Who will know which teacher is on leave? Who will be subbing in for an employee who is out of school today? An interactive dashboard in school ERP software keeps a track on the whereabouts of all school employees and students in real time. It even pulls from the school ERP software’s own leave application plugin to keep a track of who is on leave and not. Being able to easily look this information up on the interactive dashboard in school ERP software reduces back and forth and burden on administrative staff. Your interactive dashboard in school ERP software will display all public events and meetings happening at the school. This helps students and employees be aware of what is happening at their school, building a better sense of connecting with their peers and also grounding their day. It also makes it easier for people to keep track of their day and where they have to be – event details can be displayed alongside these notations, making it easier for attendees to know at a glance where they need to be at any given point in the day. Like any other large organization, a school also has financial KPIs and goals. It is important to be able to track the financial health of a school – after all this is an ecosystem that is budget driven and the outcomes serve a vulnerable stakeholder, students. An interactive dashboard in school ERP software is a natural in this regard – it tracks all the financial transactions of the institutions, is able to represent data with graphs and charts that are easily understood, and can be an important part of real-time financial discussions. In many ways an interactive dashboard in school ERP software can be the financial assistance a school needs in making important financial decisions, identifying financial opportunities and making data-driven rules to protect its financial health. Exams are always stressed for every stakeholder in the educational ecosystem. An interactive dashboard in school ERP software can often reduce this burden by acting as a minder during examination time. Track examinations such as first term, midterm and final term exams with the interactive dashboard in school ERP software and share related information with relevant stakeholders easily. Use the interactive dashboard in school ERP software to make a stressful time less so. Schools are the breeding down for future leaders, thinkers, and doers of the world. It is no longer enough to merely cover the curriculum and add some extracurricular activities to a student’s report card. Instead, a student that is well rounded, aware of what is happening around them, and are proactive thinkers are the need of the hour. An interactive dashboard in school ERP software is the perfect tool to help create this sort of student – it is the one window location for students to update themselves about news and trends happening around the world at a glance. An interactive dashboard can share this from a variety of ways, from trending blogs to announcements, to even having news updates flash on the interactive dashboard in school ERP software – all in real time. Track communication between stakeholders more easily with the interactive dashboard in school ERP software. Each user will be able to use their dashboard to track ongoing conversations, via open conversation threads of messages going back and forth in the school ERP software. This means that no ball is ever dropped – teachers are responsive to students around the clock, parents and teachers can work together to help students, and all communications are confidential while also remaining easily accessible to users of the school ERP software. An interactive dashboard keeps you in the loop of conversations happening with everyone in the educational ecosystem. Considering the number of time students and employees spend at school, a school is no longer just a place to study or work. Instead, it very much becomes a place away from home – especially for younger stakeholders like students. Students often form lifelong friendships at school and think of school days fondly. An interactive dashboard in school ERP software can help build this sense of community very easily and efficiently. Birthdays are remembered and displayed on the dashboard along with wishes, photos from various school events can be displayed in a visually appealing gallery for people to reminisce over, and a regularly updated blog can become a beloved school paper where students and teachers connect over what is trending in their little community. Start building your close-knit school community today with the interactive dashboard in school ERP software. In the daily grind of things, it can be easy to forget what something institutional like a school stands for. But the mission and vision of a school define the very fabric of a school’s culture and what its students and employees are driving towards. Keeping this long term objective insight is important to stay on course for all stakeholders in the educational ecosystem. An interactive dashboard in school ERP software thus becomes the easy go-to place to get eyeballs and reinforce this cultural messaging on a regular basis. Users of the school ERP software will invariably check on their interactive dashboard on a daily basis, making it the ideal place to reinforce the school’s mission and vision through something as simple as restating it in plain words or even using other features to remind students and employees of the school’s strong culture. Can video games change K-12 learning? Traditionally, video games have long been derided as a waste of time or a distraction for students that can go from benign to addictive very quickly. WOW widows and students becoming addicted to video games to the point of not being able to accomplish basic daily tasks have plagued headlines for years. In fact, the image of a lazy, unemployed, underachieving gamer is a well-known stereotype now. In many ways, video gaming may seem antithetical to the process of learning itself. It is not an uncommon sight in households with school going children to limit screen time or time spent playing video games in order to help students focus on their academic goals. This has been the traditional view towards video gaming with regards to addition. Are video games really entering schools? Increasingly, however, across schools, a new trend is emerging. To start with, video games and the video gaming industry are increasingly being taken more and more seriously by schools and colleges. Whether it is game design, video game studies or just classes around building video games or studying the culture around video games, these former distractions are being taken more seriously than ever before. But that is not where it stops. More and more schools are encouraging playing video games as a way to enhance the learning their students engage in. This can be by just providing resources to play age-appropriate games during breaks and downtime at the school between classes. It can also be about integrating games into the curriculum – by using them to explain a concept or method, or by relying on specially built educational games to help students improve their skills in a certain domain. For instance, numerous apps exist that help students build their vocabulary through the use of simple and well-researched games that are proven to produce positive results. The use of gaming principles or the creation of games specifically dedicated to learning is more ubiquitous than ever before. We are seeing many tools, apps, and programs flood the market that is focused on helping students gain numeracy and verbal skills. These games can range from simplistic like a vocabulary builder to complex ones that explain ideas at a conceptual level, based on data and teaching methodologies that have been developed by scientists over several years. The gamification of learning, however, refers to the application of game principles and methodologies to help students learn and better. Simplistically put, they make learning more exciting by adding narrative arcs, reward systems and opportunities for growth and collaboration, just like in a game. The gamification of education and learning has been shown to result in increased connect and engagement on part of the student, resulting in more attentive learning and consequently more positive learning outcomes. Most video games involve some degree of interpersonal communications these days. This is especially the case with team games or multiplayer games that have become more popular recently vis a vis single player games. Video games thus often involve players having to become more and more comfortable with communicating with their peers, sharing information, pitching strategic ideas, engaging in debate – all skills that would come in handy in both their academic and professional careers. Video games also encourage a variety of communication styles across multiple channels – from text-based instant messaging within the game or using a chat client, to using conference calls like Team Speak or Discord, to video chats for those who like to stream their games to an audience on a platform like Twitch. 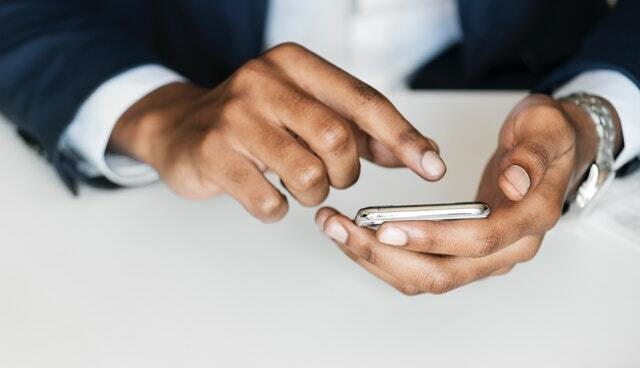 Getting comfortable with these varying modes of communication is highly useful in an increasingly connected world. Video games do not just help improve soft skills like communication. Many academic studies have shown that games help build motor skills like spatial awareness by the very way players engage with the game. For instance, imagine a first-person shooter game that places players in a war zone where they have to seek and capture or destroy certain targets. Players quickly learn how to spot these targets amongst plenty of clutter and distractions within the game. Repetitively engaging in such tasks helps players improve their inherent motor skills all while entertaining themselves. This improvement in motor skills also helps outside of the game – faster reaction time and better spatial awareness help both in academics and extracurricular activities within the school, giving some students confidence in their abilities. A majority of video games out today tend to be team player or multiplayer. 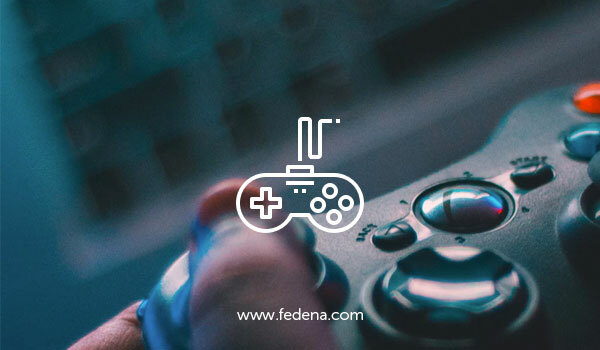 This means that most video game enthusiasts today play their favorite video games collaboratively with friends and other players from across the world. Often, the game is also built to be played and won in a collaborative fashion. Players of the video game take on roles with strengths and weaknesses and band together to achieve goals and acquire points. Part of this process is understanding how to work in a group for the collective common win. This means that everyday players of such multiplayer or team-based video games are building their collaborative and communications skills. These are soft skills, yes, but they are vital for where these future workers will end up – working with colleagues on larger scale projects at their jobs. Video games thus help players build a sense of loyalty towards teamwork and teaches them how to be effective working in them. These days, most video games have a goal to be achieved or a quest to be completed. Players work over long periods of time patiently in order to acquire the skill, knowledge, and experience to be able to successfully achieve these goals or complete their quests in order to win these games. Along the way, blockers and challenges are thrown up in the game that users must learn how to solve applying everything they have learned so far or through trial and error. This kind of problem-solving skill is honed over many hours of playing games. Such skills are easily transferable to the working or academic world, where users are no longer intimidated by problems. Instead, there is a mindset change inculcated through long hours of playing video games that help them view problems as challenges to be overcome and that they are capable of overcoming. Parents and teachers often complain about how video games are a waste of time and energy for students. But another perspective to take here is that video games do require time and effort – but that is because players only improve their skills and outcomes by practicing consistently over long periods of time. This same ability can then be transferred to subjects of their interest and things to be learned if student curiosity is sparked by teachers and parents in innovative ways. In many ways playing video games is the first time a student will learn the value of hard work and consistent practice – a lesson they will carry with them throughout the course of their academic and professional careers. Do we need a library management system? On some level, a library management system is the digital manifestation of a functioning library. It is a tool or a platform that performs all the functions of a library in an automated and organized fashion – from issuing or checking out of books to keeping a catalog of all books the library contains to levying fines for late returns of books. A library management system can be a standalone tool or platform or part of a school ERP system or software in the form of integration or plugin. The most robust school ERP system will offer a library management system in one form or another these days. Why do we need a Library management system? Considering how the process is driven and detail dependant library management is, having a library management system in place just makes logical sense. A library management system is perfectly adept at taking on the many repetitive and predictable processes and tasks that are an endemic part of running a library. It is thus advantageous to have a library management system in place, just based on its very nature. What are some features of a library management system? 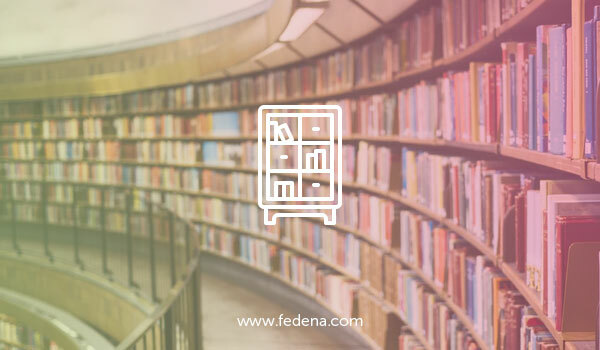 A robust library management system like Fedena is easily able to generate fine receipts for fines paid on the late return of books borrowed from the library. This reduces the burden on librarians and the likelihood of human error in the issue of fine receipts. The library management system is able to track, retain and store all issue and renewal details of all the books and materials in a library – essentially ensuring easy lookup of any book or materials that are required by a patron of the library. All barcodes on every library material – like books and other records – usually has a barcode attached to this. This barcode is integrated into the library management system making the tracking of books easier and ensuring the smooth interface of the library with the library management system. What is the journey of a book? Where can a specific book be found? All this information can be found within the library management system at a school. The library management system tracks the status of the book, because of the aforementioned barcode integration, and is able to swiftly and accurately give information about the whereabouts of a book in question. The library management system is not a one size fits all tool. Instead, one is able to classify users by type within the library management system itself and define what they have access to and not, amongst other privileges accorded to them by category. For instance, a teacher may be allowed to check out more books than a student at a time and a library management system correctly identifies that at time of check out. It is not enough to just keep track of books for a library management system. Better libraries can be built based on the reports the library management system generates, since it is all data that indicates how the library is currently used, points towards future needs and identifies gaps in the library management based on usage data entirely.